I'm celebrating not be at the Department meeting, or the Division meeting or any other college function EVER AGAIN. 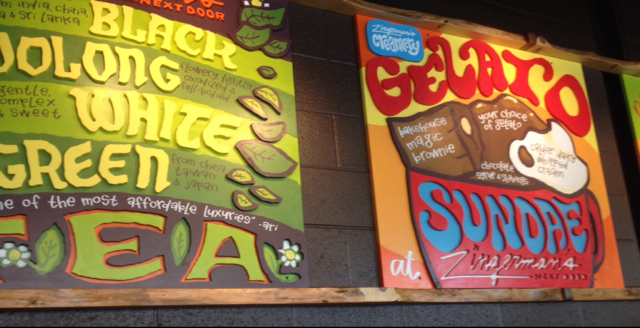 We drove down to Ann Arbor to go to Zingerman's. It was $4 off sandwiches with a t-shirt day. The trip down was uneventful except for road construction which in the summer is a given. 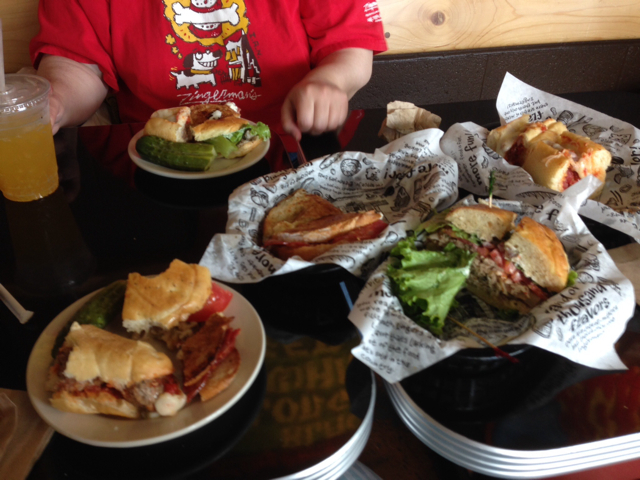 We couldn't make up our minds so we ordered three sandwiches cut in quarters. We took half the loot home so it wasn't a caloric disaster. Meatball sandwich, porchetta sandwich and a sopresata-goat cheese-honey grilled. The last was a wonderful surprise.